We’ve got quiet-time toys and noisy-time toys, traditional toys and fanciful toys, things for the bedroom and things for the dining table. In fact, we’ve found all sorts of things to thrill the four to six-year-old set this Christmas. Want the gift that will keep on giving, all summer long (and every summer after that)? Then make sure Lolli Tups by Tupperware are in the Christmas stocking. 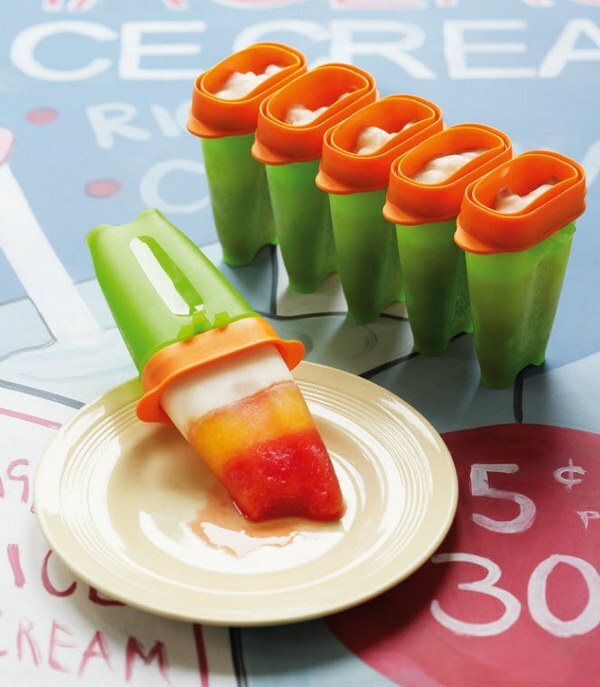 Make your own mess-free icy poles with healthy ingredients such as yogurt, crushed berries and fruit juice that are so simple, the kids can manage them on their own! Lolli Tups are $24.94 from Tupperware. If you are travelling this Christmas holidays, Tiger Tribe’s Magna Play Set from Quirky Kids Online is the ideal toy to keep kids occupied in transit. 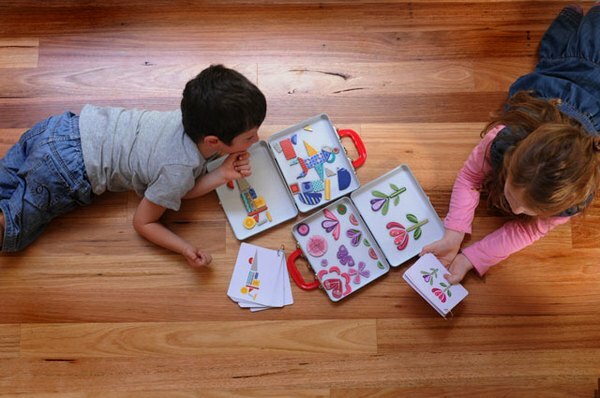 Consisting of bright, chunky magnets and a neat container that is also a magnetic playing surface, kids can recreate the Magna Play Set designs or make pictures of their own. There are two designs available – Forest Fantasy and Things That Go and both are $34.95 each. 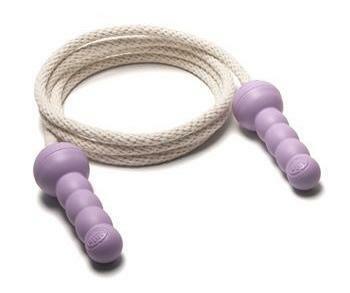 There’s a number of simple, traditional toys that should be part of every childhood – like a skipping rope. The games that are played with skipping ropes have hardly changed in decades and will always be great outdoor fun. Choose a modern skipping rope from Green Toys. Made from recycled plastic and cotton rope, the Green Toys Jump Rope is $19.95 and available from Sustainababy. 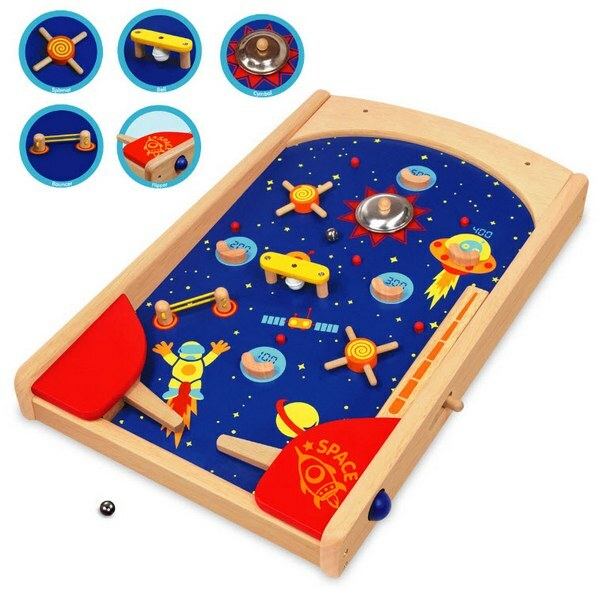 For an eco-friendly take on a retro toy, the super-cool wooden Space Pinball from Eco Toys is sure to hit the jackpot. Just like the pinball machines mums and dads grew up with, Space Pinball is all about keeping that little ball in play! Space Pinball is $89.00. Break out your very best rendition of ‘Animal Crackers in my Soup‘! Mealtime just got a whole lot more fun with Little Chipipi’s adorable Animal Friends Placemats. 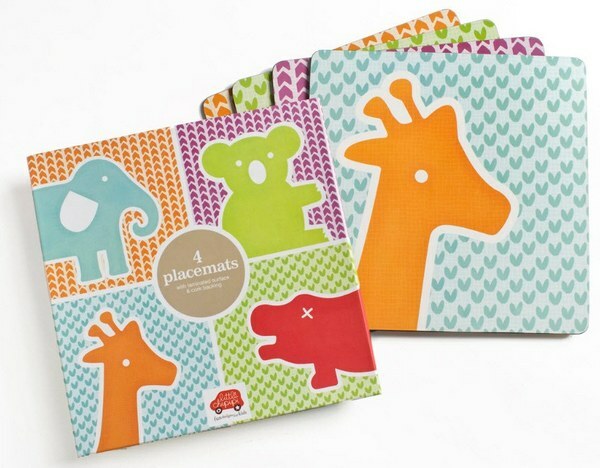 Designed for everyday use and stylish enough to grace any dining table, little kids will go wild for these placemats. A set of four is $39.95 from Little Chipipi. Who’s winning the style stakes on the beach this summer? Those lucky little girls sporting a Zimmerman bikini, of course! We love the sweet Charmer design – florals in scrumptious summer colours, plum and tangerine, and lots of pretty ruffles. Zimmerman swimwear is available at Baby’s Got Style and the Charmer bikini is $59.95. 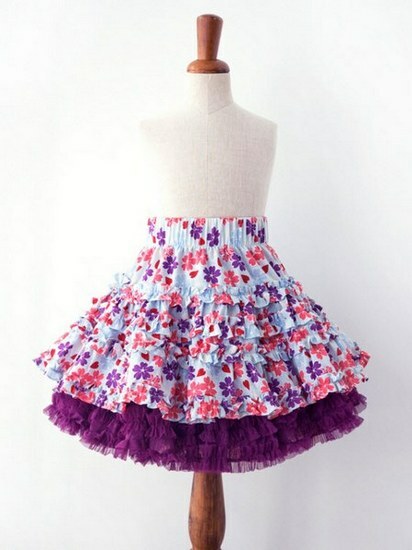 Off the beach but still want more ruffles, floral and party-perfect-purple? Find every little girl’s dream skirt at Nelly Jean. Designed by Servane Barrau, the stunning Mademoiselle floral voile skirt is fab on its own or teamed with a tulle underskirt or leggings. The skirt is $48 and coordinating pieces by Servane Barrau are also available. 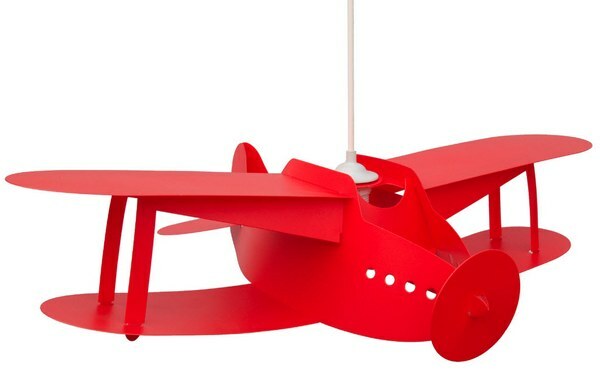 Take off this Christmas with the sensational Rosemonde Et Michel Coudert Bi-plane Ceiling Light from Monkey Caboose. Sure to capture your child’s imagination and become a decor focal point these fantastic ceiling lights come with all the necessary fittings. They are $69.95 each and are available in a range of colours. Wolves are said to be devoted and loyal, social and wise. Sound like one of your kids? Perhaps they need a truly different Christmas present this year – the Spirithoods Kids Grey Wolf hat and scarf. Cleverly combining a hat, scarf and mittens into one piece the Grey Wolf fits into the category of ‘functional dress-ups’ (which also means that kids and parents are happy with the wardrobe choice!). Find the Grey Wolf at Minibots for $99. Finally, make some noise this Christmas with a superbly crafted Play Me wooden xylophone. Whether your child is mastering ‘Deck the Halls‘ or playing their own composition, the gentle sound of this traditional xylophone will be music to your ears! 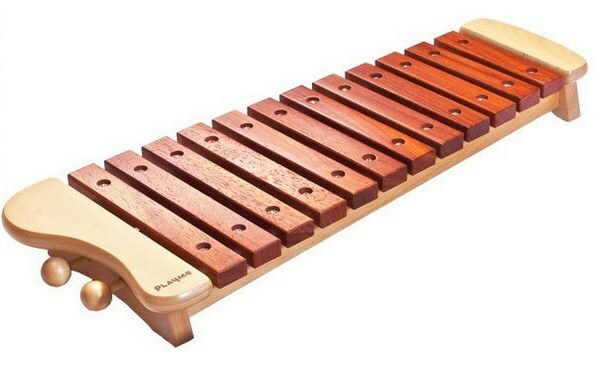 The Play Me xylophone is approximately $138 and can be found at a number of Divisible By Zero stockists.